Brilliant drive by Bottas! Absolutely perfect. He needed a race like this to start the year. This will shut people up about him being replaced mid-season and it will boost his confidence big time. For Hamilton this will be a disappointing race but, in the grand scheme of things, he’s probably happy. A bad start and bad strategy basically ended his bid at a win. He won’t fear Bottas beating him over 21 races though and he will have noticed how Mercedes seem to be back in dominant form. 2019 is another golden opportunity for him. Max had an excellent overall performance minus that slight off-track moment. Red Bull seem to have the second best car here. Perhaps it’s just this circuit but this is a strong start to the Red Bull-Honda partnership.Ferrari had a messy weekend. They weren’t close on either Saturday or Sunday to Mercedes and they couldn’t match max on Sunday either. Vettel being overtaken on track by a Red Bull and Leclerc being told to back off in the first race of the season and then not being given a shot at fast lap was just bizarre. That is the one outcome no one saw coming even though we knew Mercedes was too fast for everyone else. 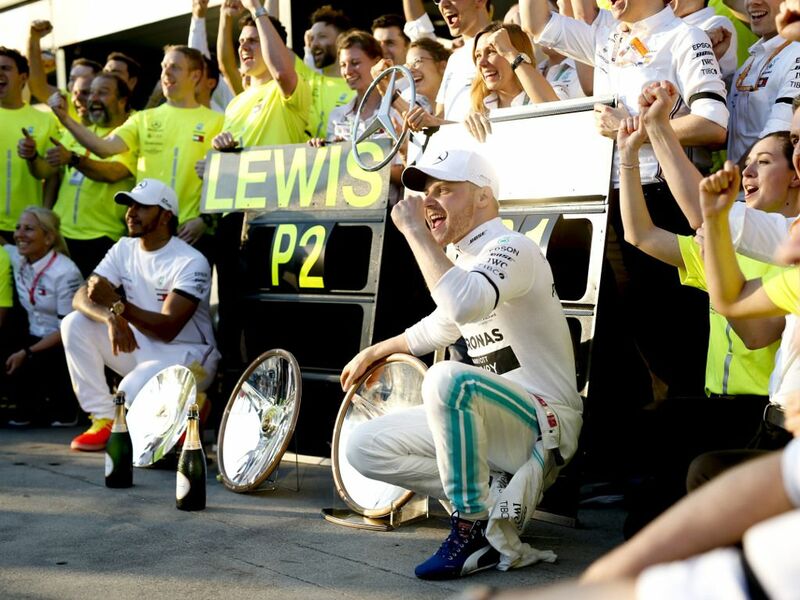 Bottas was impressive, but Lewis said that he knows why he lacked pace. Verstappen was again making things happen. The Red Bull Honda looks like a great base, and it will challenge for wins at some tracks this year. Gasly couldn’t overtake Kvyat, and I couldn’t help but think that Red Bull really really wanted him to get that overtake done, otherwise they would have ordered Kvyat to let him by. Not a good weekend at all for Gasly. Leclerc already threatening Vettel in the first race is really good for him. Hopefully Ferrari lets him race, but I must say after what I witnessed today, it won’t happen this year. Stroll again showed he is a very good racer. It doesn’t look like Checo is going to win this match up as easily as some of us originally thought. Haas just keeps shooting themselves in the foot, and the bullets are coming from everywhere. Very strange. 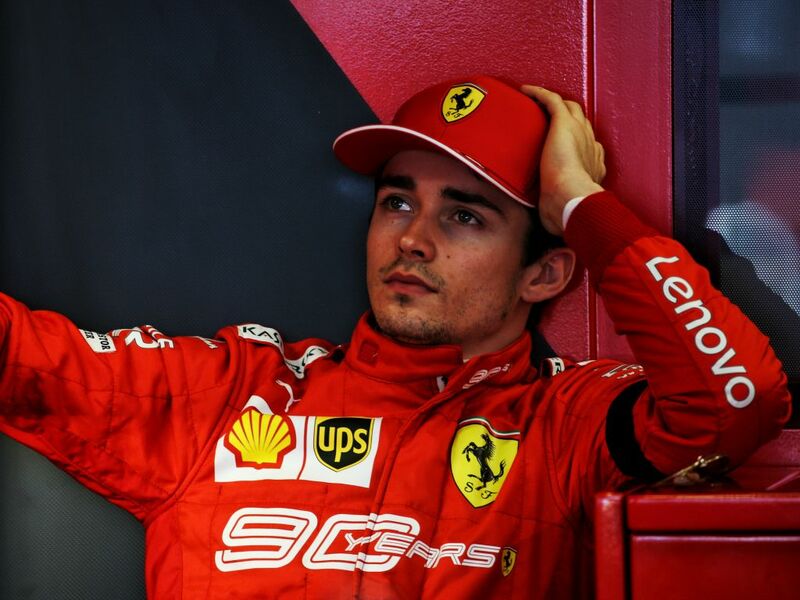 Why didn’t Ferrari pit Leclerc to go for fastest lap? That point had their name on it so long as they had a set of softs in reasonable shape. 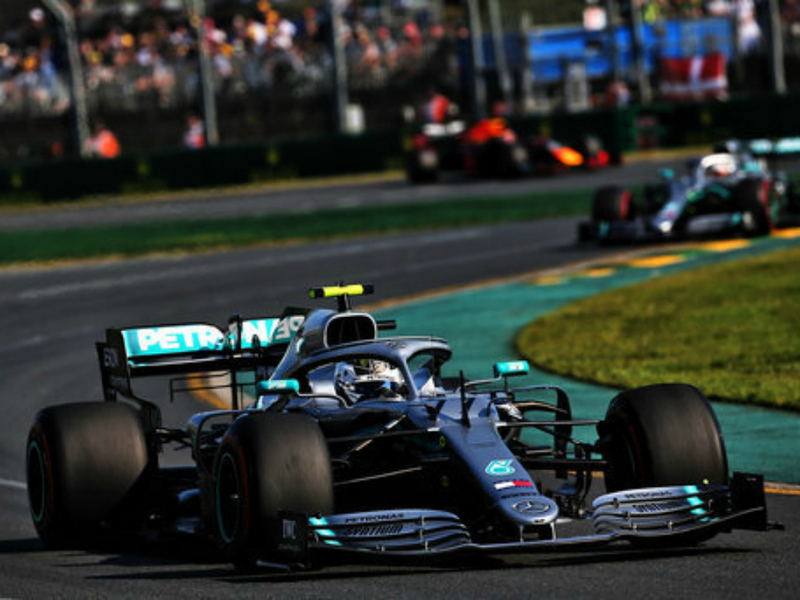 Bottas did well but it was apparent from Verstappen being all over Hamilton that it was more a case of a poor showing from Hamilton (which we now know was due to floor damage) than pure dominance from Bottas, still he did well and he appears to be in a more aggressive place mentally. He’s reminding me of 2016 Rosberg with his attitude. Slightly underwhelming Ferrari debut for Leclerc IMO, he appeared to be told to stay behind Vettel at the end but it looked like Vettel had some sort of issue given the radio comms and his complete drop off of pace halfway through the race. I’m not writing him off yet by any means but qualifying two tenths behind and being dropped fairly easily in the first stint is something he can’t allow to happen too often if he doesn’t want Vettel to continue getting number one treatment. So Merc is the best, but for Bottas to swipe Hamilton with 20+ seconds is astonishing. More like this and and we are off to a very interesting season. 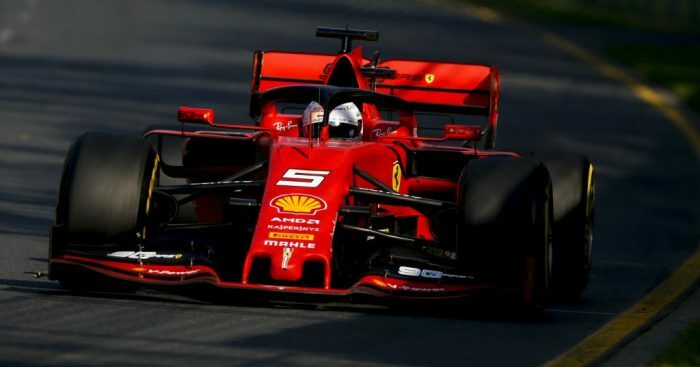 Ferrari reportedly has switched down the engine for overheating problems. Also, Vettel is clearly better than Leclerc and has not put the foot wrong, unlike Charles, so it was wise to keep the positions once when Vattel’s car started loosing a second per lap. Impressive debut for Honda, now I start to think that in some odd races Max can even win. Gasly was thoroughly disappointing, regardless of the starting position. Very impressed by Stroll, the guy is sowing some serious skill. Also, two silent guys, Magnuseen and Hulkenberg deserve recognition.For a race, slim 7/10, it is obviously very hard to overtake. Kudos to drivers for not colliding with each other. I think we already saw the fastest lap point add some extra interest to the closing stages of the race, but I think people pitting especially to go for it is going to be rare. The risk of pitting even when you are a pit stop ahead is not just the chance of a bad pit stop costing you, but also the potential cost of losing the buffer itself. If you have a non-terminal technical issue that costs you seconds per lap towards the end it could mean the difference between top 6 and being out of the points. Similar applies in the reverse if a driver ahead has a problem. Because of the top 10 rule and associated risk /reward even when you do have a comfortable gap I think pit stops specifically to attack the bonus point are going to uncommon. Instead we’re going to get people with a gap backing off and then attacking the fastest lap with full engine modes (as Bottas appeared to), or perhaps making more aggressive strategy calls with shorter stints towards the end of the race when they expect to finish just inside the points. Moreover I think that is a good thing. It will add some interest and encourage attacking intent without being a separate focal point. It hopefully will become part of the bigger picture of the race rather than a race within a race. 1) This track is always an outlier and never a good judge for the rest of the season so Red Bull/Ferrari fans do not get too disheartened. 2) Yet again this season how comfortable a car/driver is with the Pirellis and the associated wear performance will determine success which is not how it should be. Hamilton was intrinsically faster (pole) but Bottas really liked the tyres on this track hence he dominated. Still waiting for Pirelli to deliver a product that does not unduly affect race outcome. 3) Norris looks a future star, Giovinazzi doesn’t. Having Kimi at Alfa Romeo will be good not only for them but for benchmarking future Ferrari youngsters. Too early to say as a permanent thing but LeClerc in Australia looked in between Vettel and Raikonnen level so good time for the switch. 4) 2019 cars are good balance of qualities and bode well for bigger 2021 changes. 5) Honda and Red Bull have come together at just the right time and I expect great things in the future from this combination, Max and Horner are happy anyway. 6) Alonso chose the right time to leave now get fully into Indy to give us all a reason to follow that series too. 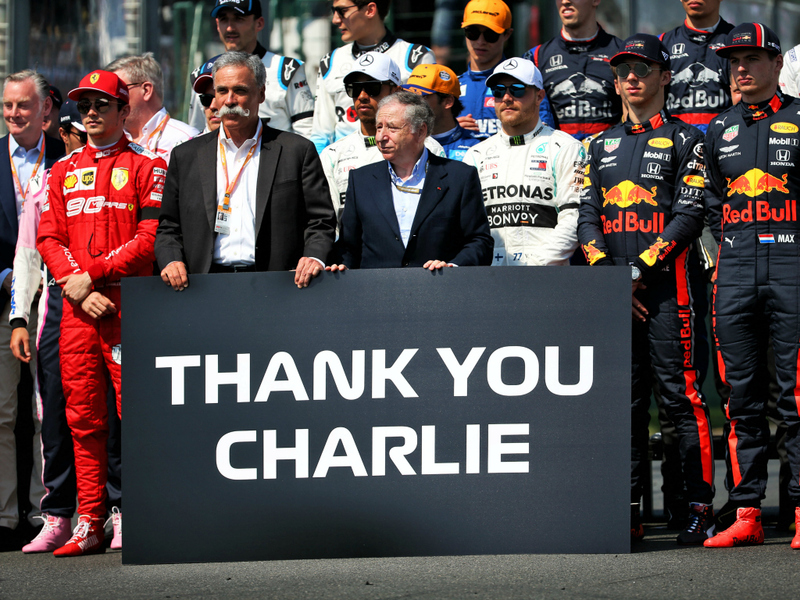 7) RIP Charlie Whiting, a force for good and advancement in F1, your huge efforts over decades will not be forgotten!